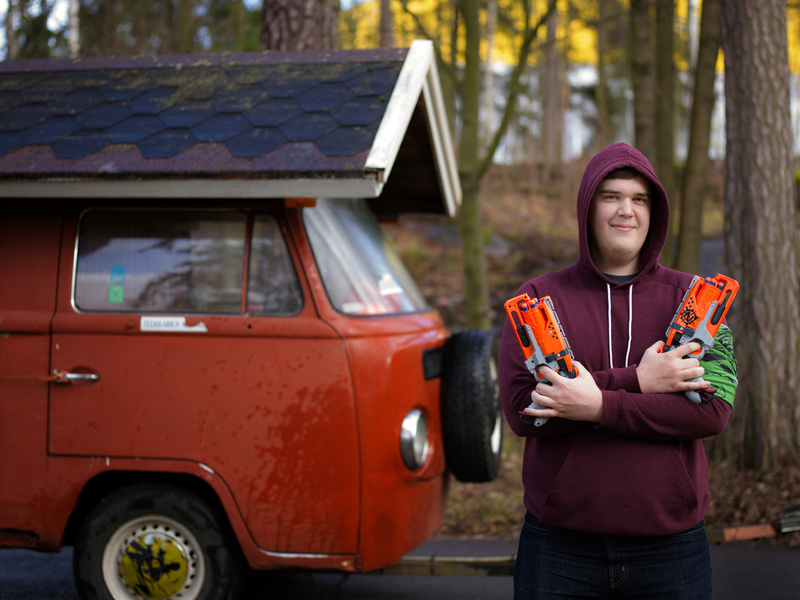 "I predict that the number of zombies here in Otaniemi will grow exponentially. This is because a war will be waged between humans and zombies here. Everything will start with some students turning into zombies masked as human, and they will attack unwitting students outdoors on campus. Students can defend themselves by shooting zombies with these foam arrow guns or throwing socks at them. When a student manages to hit a zombie, the zombie will become paralysed for 15 minutes so that students have the opportunity to flee. There are bound to be some epic battles before the four day humans vs. zombies ends."